In 1877 a football team called 'Britannia' was formed (Fitzroy City Press, 1891). 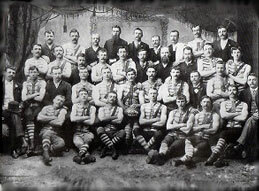 This side consisted of players from both Fitzroy and Collingwood, who used the ground at Victoria Park. 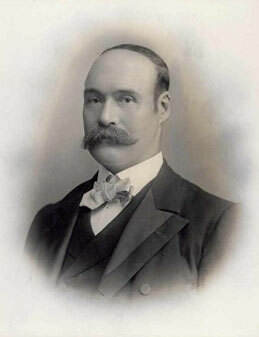 They were highly successful within the junior competition, but the suburb of Collingwood wanted to have their own football team in the Victorian Football Association (VFA), given Fitzroy and other neighbouring suburbs already had their own teams. As such, it was proposed and accepted that Britannia would become the Collingwood Football Club in the VFA, even if in reality the make-up of the team Britannia didn't end up, and was never intended to directly transfer over to the newly formed Collingwood team. As McFarlane and Roberts (2005) stated ...the split was not without bitterness; most of the factions migrated to neighbouring Fitzroy while the remainder stuck with Collingwood . In 1892 however the people of Collingwood now had their own team whom they could barrack for loudly, and what a popular team it was right from inception. Go to any game and you will hear the Collingwood chant in full voice echoing around the stadium.